Born in Brooklyn, NY, Tzachi was raised by loving siblings, parents, and grandparents in a passionate Modern Orthodox home that stressed the values of ahava (love), kedusha (sanctity), and simcha (happiness). Tzachi received his BA in Judaic Studies from Brooklyn College, and began his career teaching middle school Tanakh at East Midwood Hebrew Day School. Tzachi interned at Kinneret Day School, Abraham Joshua Heschel School, and Ramaz, all while distinguishing himself as a professional Judaic studies tutor in the Riverdale and Westchester communities. Tzachi is an accomplished Ba’al Tefilah, and an avid lover of Jewish music. 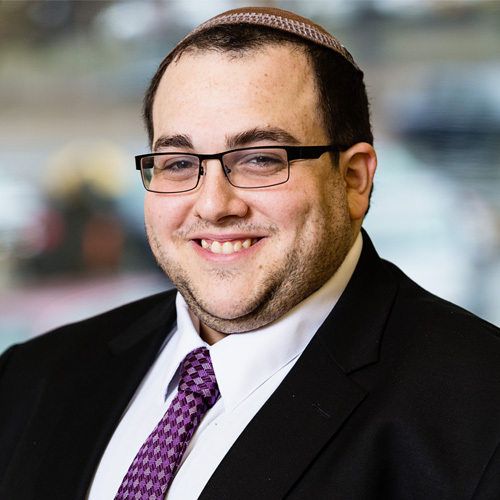 Tzachi currently teaches middle school Judaic studies at Bi-Cultural Hebrew Academy, a Modern Orthodox day school in Stamford, Connecticut.